The one-story Residence 2 has four bedrooms, three bathrooms, and a three-car garage. The kitchen features a large walk-in pantry. An oversized island with room for seating separates the kitchen from the dining area and the family room. The spacious master bedroom features a large walk-in closet. The third bedroom has a walk-in closet and it’s own bathroom making it a perfect guest room. 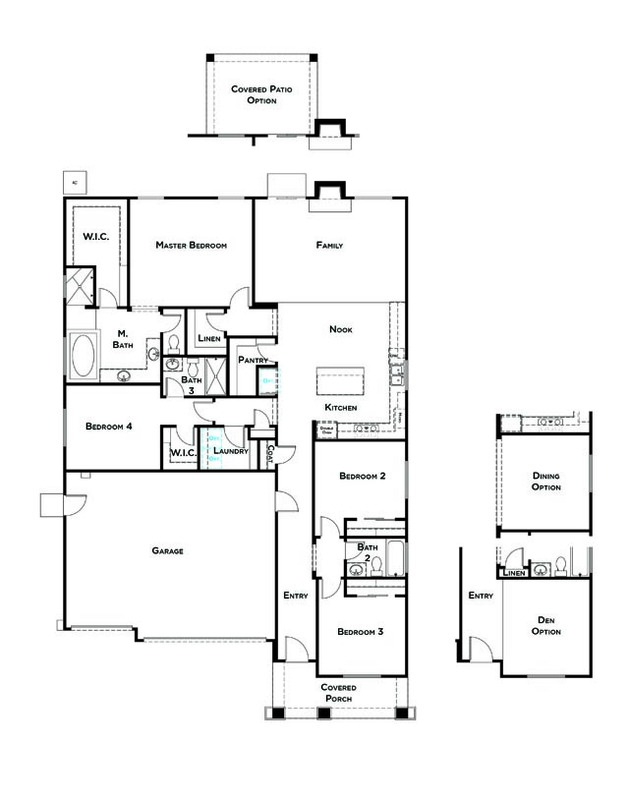 Residence 2: 2,082 Sq. Ft.
Residence 3: 2,846 Sq. Ft.
Residence 1: 3,131 Sq. Ft.
Residence 5: 3,640 Sq. Ft.
Residence 4: 3,931 Sq. Ft.
We've only been here about two weeks, but we absolutely love our new JMC home!